Left to right: photographer looking for Tea Party rally; bystander; the Tea Party rally. Media folk, remembering last year, turned out in force. Two news vans. Half a dozen still photographers. Two counter-protesters, complete with skit; perhaps they’re on YouTube somewhere. 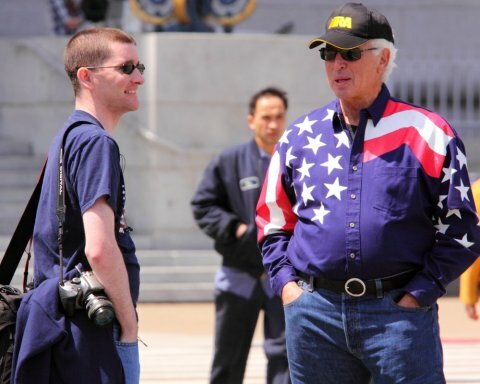 One gentleman in a red-white-and-blue shirt and NRA cap. 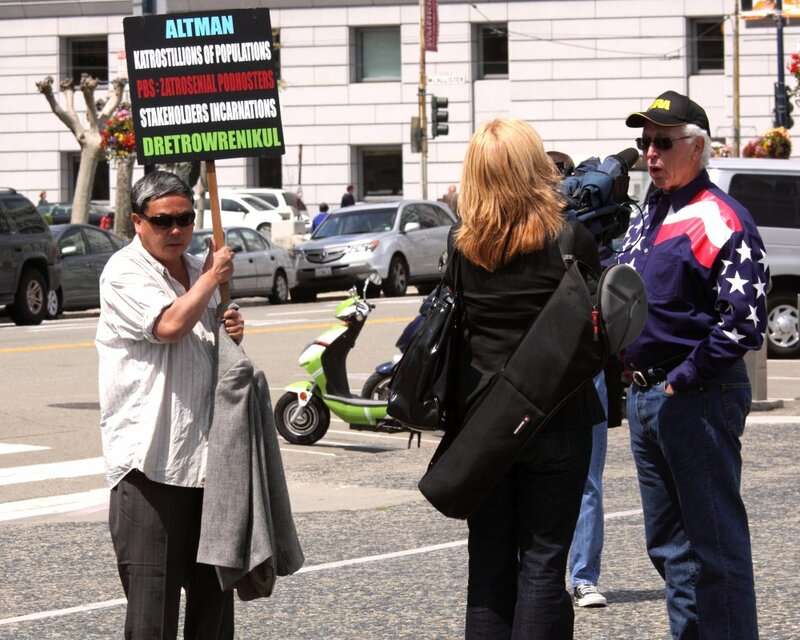 Left to right: local eccentric Frank Chu; interviewer; foot; the Tea Party rally. In other news, here’s a gallery of three guys who saw me walking by with my camera and asked if I felt like taking their pictures. Posted Thursday, April 15th, 2010 3:05 PM	under . Comments and pings closed.